Come and say hi this Thursday-Sunday at Toronto Fan Expo! 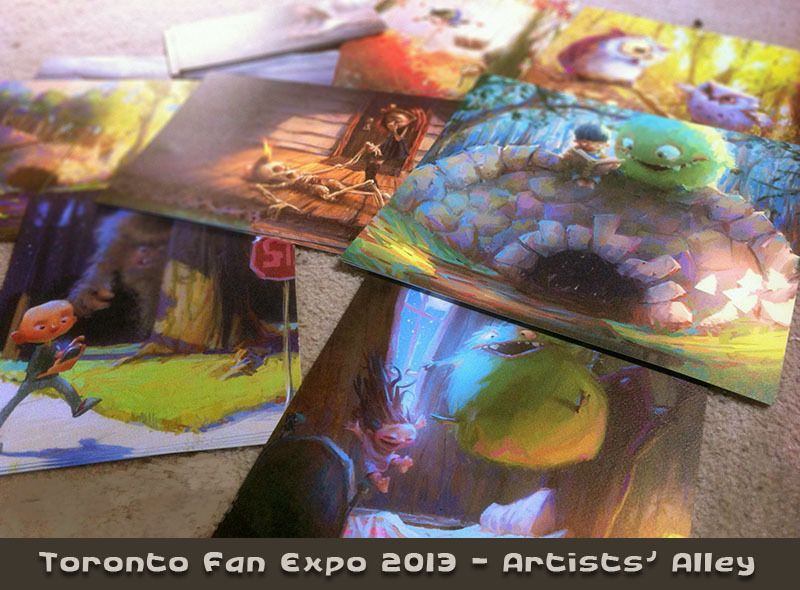 I'll have some new prints, books, and original paintings (framed oil paintings and watercolour sketches) available. I'm at table 411 (second last row from the end, on the cafeteria side of the floor). See you there! We couldn't find you today. Where is your booth located? Hi Tammy! Sorry you couldn't find me! I'm at table 411, second last row from the end, on the cafeteria side. I'm going to post it on the blogpost as well. Looking forward to seeing you there!